As the Scottish referendum draws near it’s worth looking at the Clapham Sect within a British, and particularly Scottish, context. The Union of Parliaments of 1707 had created the United Kingdom. Scottish MPs now sat in the British parliament. Following this, as Linda Colley has shown, there was a conscious attempt to create a British identity, seen, for example in the creation of the British Museum and in the words of Rule Britannia’, written by the Scotsman, James Thomson. Some Scots took the opportunities opened up by the Union make their fortunes in the Empire, others to practise at the English bar. The most celebrated of these lawyers was the Lord Chief Justice, William Murray, Lord Mansfield, who in 1772 gave the important anti-slavery ruling in the famous Somerset case. Whatever the rights and wrongs of the Union, the eighteenth century saw a flowering of Scottish cultural life. The Scottish Enlightenment was a movement of European importance and had a huge influence on abolitionist thought. Teston, in Kent, described by Hannah More as ‘the Runneymede of the negroes’ was the home of the Scots Member of Parliament and naval administrator, Sir Charles Middleton. 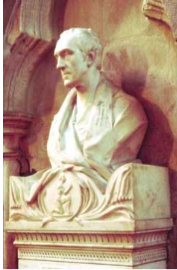 He appointed as rector another Scotsman, James Ramsay, whose ground-breaking accounts of the treatment of slaves in the West Indies drew attention for the first time to the human cost of cheap sugar. In his books Ramsay took issue with his fellow Scotsman, David Hume, on the intellectual capacity and the cultural achievements of Africans, exposing in a devastating fashion the racism that lay behind so much Enlightenment thought. In his great abolitionist speech of 1789 Wilberforce built on Ramsay’s arguments and introduced Adam Smith’s concept of the impartial spectator, imagining him observing the treatment of the slaves on the terrible Middle Passage and judging it accordingly. Ramsay was not the only Scotsman to be associated the Clapham Sect. When Wilberforce and his second cousin, Henry Thornton set up their house, Battersea Rise, on Clapham Common in 1792 their neighbours, at a house named Glenelg, were the former Indian administrator, Charles Grant, and his wife, Jane, née Fraser, both of them Highland Scots. Grant had been born in 1746 and the romantic scene attending his christening in March of that year could have come from the pages of Scott or Stevenson. It took place at Aldourie farmhouse on the southern shores of Loch Ness in the heart of the Jacobite Highlands on the eve of the battle of Culloden. The child was named Charles in honour of the Young Pretender. His father, Alexander (‘the Sword’) Grant, presided over the ceremony, and after the baptism the men drew their swords and clashed them over the cradle before leaving to rejoin the Jacobite army. In the following month they were defeated, and Alexander had to flee. Charles had been given the wrong name at the wrong time. It says much for his determination that he built up the family fortunes by going to India. In 1773 he was appointed Secretary of the Board of Trade and in 1805 he was to become Chairman of the Board of Directors of the East India Company. In the election of 1802 he was returned for the tiny constituency of Inverness. In order to gain the votes of this electorate of thirty he had to buy an estate on Skye for £16,000 and pay out £600 in election expenses. The Scottish electoral system was even more corrupt and cronyish than the English! The other noted Scots abolitionist was Zachary Macaulay, the father of the historian, Thomas Babington Macaulay. Like Grant he was a Gaelic-speaking Highlander (he told his fiancée Selina Mills that he was not always confident in writing English), but his background could hardly have been more different. Contrary to the romantic myth, Scotland in the mid-eighteenth century was deeply divided politically and while the Grants were Jacobites, the Macaulays were Presbyterian Whigs, ardent supporters of the Hanoverians. In April 1746, while Alexander Grant was hiding in the heather from the avenging redcoats, Zachary’s father, the Reverend John Macaulay, the minister of Harris in the Outer Hebrides, nearly managed to secure the capture of the Young Pretender, thus earning a place in Jacobite mythology as the ‘devil of a minister who did us a’ the mischief in his power’. I speculate in my book that if Alexander the Sword had come across him, he would probably have killed him! 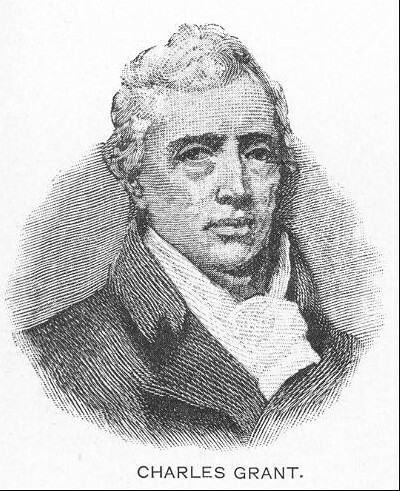 James Stephen, who became Wilberforce’s brother-in-law was the third Claphamite with a Scottish connection. His father was a Scots merchant, who arrived in England by being shipwrecked off the Dorset coast. He then settled there, married an English girl, and in 1769 was imprisoned for debt in the King’s Bench Prison on the orders of his fellow Scot, Lord Mansfield. Young James later spent two years at Aberdeen University studying engineering and moral philosophy but then trained for the English bar. The Clapham Sect also included two Scotswomen. Jane Grant was the ‘mother’ of the sect, presiding over childbirths, listening to confidences, and giving wise advice. No-one had a bad word to say about her. Jean Babington, Zachary Macaulay’s sister, was the wife of Thomas Babington and the chatelaine of the imposing medieval house, Rothley Temple in Leicestershire. When Babington married her, his relatives were appalled that he was to marry a ‘wild’ Highlander, and poor Jean was sent away for a Pygmalion-type makeover to fit her to be the wife of an English squire. She survived this ideal with her spirit intact. The Clapham Sect’s connections with Scotland are simply one sign of the complex links between England and Scotland since the Union. The abolitionist campaign benefitted from the Union and Wilberforce and his friends are unlikely to have wished to see it break up. This entry was posted in Clapham Sect and tagged Adam Smith, Charles Grant, James Ramsay, James Stephen, Scotland, Scottish Enlightenment, Sir Charles Middleton, William Wilberforce, Zachary Macaulay. Bookmark the permalink.